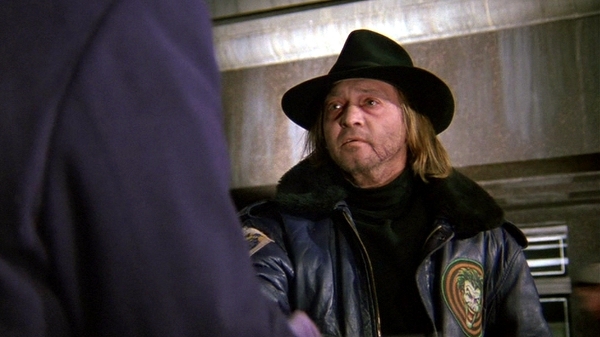 Movie Beards: Bob the Goon: "Batman"
Someone who will have your back through thick and thin. Someone who will hold a cop at gunpoint to get you out of trouble. Someone who will vandalize priceless artwork with you while listening to Prince. Someone who will let you shoot him with his own gun because Batman stole your balloons. Someone who still considers you a good friend even after you take a swim in a vat of toxic chemicals and become a disfigured maniac. To The Joker, that someone is Bob the Goon. Any villain worth his salt has a good henchman, and any henchman worth his salt will use the power of the Henchman Beard to meet the maniacal needs of his villain boss. Bob the Goon is perfectly comfortable as The Joker's right-hand man. He has the utmost respect and admiration for what The Joker represents, and at no point does he complain about his work or disobey his orders. 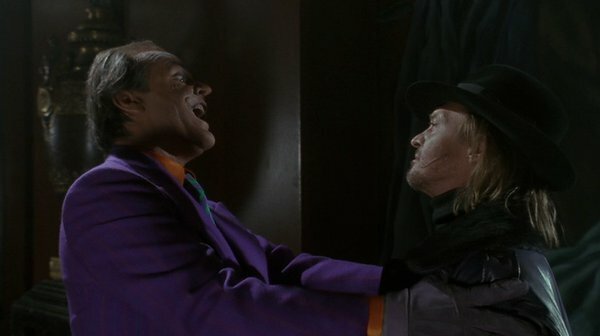 Bob is simply there when The Joker needs him, a characteristic fully realized when Bob lets The Joker shoot him in the chest with his own gun when The Joker got pissed, even when Bob did nothing wrong. That's a true testament of a good henchman. No matter what, Bob the Goon will always be The Joker's hisshhish-NUMBBAAHH ONNNEE-hishhish-ah-GUUUYYYyyy.